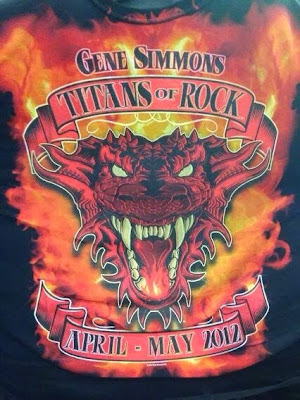 Gene Simmons has announced on his official Twitter account that his "Titans of Rock" tour will return in 2014. The "Titans of Rock" tour visited South America for a handful of dates in 2012. The "Titans of Rock" tour in 2012 included artist such as Gene Simmons (KISS, Wicked Lester), Joe Elliott (Def Leppard), Sebastian Bach (Skid Row), Glenn Hughes (Deep Purple, Black Sabbath), Matt Sorum (Guns N’ Roses and Velvet Revolver), Duff McKagan (Guns N’ Roses and Velvet Revolver) and others.